Karl W. Fitch retired from the Poway Unified School District where he was the music teacher at Twin Peaks Middle School for over thirty years. Due to his high level of energy and leadership, one out of three students on campus was enrolled in the music program. His expertise extends to concert and jazz band, orchestra, choir, and general music education. His ensembles have consistently received the highest ratings at music festivals throughout Southern California. Mr. Fitch received both his Bachelors and Masters of Arts degrees from San Diego State University. During the years 1964-1966, he served in the United States Army as a bugler and performed at many state occasions throughout the country. Karl Fitch is in high demand as an adjudicator for the Southern California Band and Orchestra Association as well as being an active professional musician and recording engineer throughout San Diego County. In 1996 he was honored by the Band Director’s Association of Southern California with the Gold award, and in 1998 he was selected as Teacher of the Year by the California Music Educators Association, Southern Border Section. In 2005 Mr. Fitch conducted the SCSBOA All-Southern Junior High School honor band and received the SCSBOA highest honor by being distinguished with an Honorary Life Member Award. Mr. Fitch keeps active as a professional musician and occasionally substituting teaching. Christian Tordahl currently teaches band at Valley Center Elementary School, Lilac School, and Pauma School, all in Valley Center-Pauma Unified School District. Previously, he was Band Director at Hilltop High School in Chula Vista. His duties there included marching band, concert band, and jazz band. lessons with Barbara Butler. Christian earned a Master of Music degree in Wind Ensemble and Band Conducting from the University of South Florida where he studied with Dr. Mallory B. Thompson. Other renowned wind conductors Christian has worked with include Donald Hunsberger, H. Robert Reynolds, John Paynter, Eugene Corporon, Tom Lee, Larry Rachleff, and Alan MacMurray. He also recently earned a Master of Arts in Educational Administration at California State University, San Marcos, and holds an administrative credential. In addition to the Pomerado Brass Quintet, Christian performs with the Hillcrest Wind Ensemble and is a member of its steering committee. He also conducts summer musical productions with Patio Playhouse, including the shows The Music Man, and Young Frankenstein. Steve Yee graduated from UC Davis with a BS degree in Civil Engineering and is a retired a Bridge Construction Engineer. He has performed with the Mesa College Band, San Diego Concert Band, Pomerado Community Band, Hillcrest Wind Ensemble, Rancho Bernardo Community Band (North County Winds), Palomar Symphony Orchestra (Principal Trumpet), the Mira Costa College Symphony Orchestra (Principal Trumpet), and the Temecula Valley Symphony. He currently performs with the Poway Symphony Orchestra ((Principal Trumpet) , and the San Diego Festival Chorus and Orchestra. He is currently the trumpet coach at Bernardo Heights Middle School and the trumpet instructor at the San Diego Academy of Music. Steve and his wife Marcia, an accomplished violinist, enjoy performing in pit orchestras for musical productions throughout San Diego County. A second-generation San Diegan, Jim received his Bachelor of Arts degree in Music Performance from California State University Northridge where he studied horn with Fred Fox and Wendell Hoss. Jim performed professionally in Pretoria, South Africa, with the Cape Town Symphony Orchestra, and for nine years as principal hornist with the Würzberg Philharmonic Orchestra at the opera house in Würzberg, Germany. Ensemble, the New City Sinfonia, the Pomerado Community Band and Hornswoggle, an ensemble of horn players from all over San Diego and Southern California. Dean Hickman retired in June 2009 after teaching high school and middle school music in the San Diego Unified School District for 33 years. He stays active by serving as an adjudicator with the Southern California School Band and Orchestra Association, mentoring new teachers, and playing golf. He and his wife, Kris, enjoy visiting their grown children's families in Kalamazoo, Michigan and San Francisco. 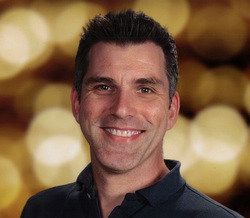 Dean was the first recipient of the San Diego City Schools' David Paul Schuchman Award in 1995 and was named a San Diego County Teacher of the Year in 2001. Dean is the founding conductor of the Pomerado Community Band. In addition to performing with the Pomerado Brass Quintet, John is also conductor of the Hillcrest Wind Ensemble. His musical background includes conducting as well as an extensive performance background on tuba. His musical career covers over 25 years of performance, conducting and composition. A native of St. Paul, Minnesota, John began music studies at an early age eventually leading him to study composition with John Zdechlik, conducting with Robert Hallquist and music performance with Ross Tolbert of the Minnesota Orchestra. His original compositions and arrangements for brass are published with Solid Brass Music. In San Diego, John has performed in the UCSD Wind Ensemble, Mesa College Band, San Diego Concert Band, La Jolla Symphony, San Diego Mens's Chorus, Tifereth Israel Community Orchestra, the Tuba Fours (a tuba quartet), Heliotrope Ragtime Orchestra and other ensembles. John’s initial conducting experience began in St. Paul as musical director for Glass Theater. He also served as assistant director with Chimera Theater, at the St. Paul Arts and Science Center and has performed for Dudley Rigg's Brave New Workshop, Theatre de la Jeune Lune, St. Pauls JCC Orchestra, Nicollet Brass Quintet, Twin Cities Gay Men's Chorus and more. In San Diego John directed San Diego’s Finest City Freedom Band from 1991 to 1992 and the Hillcrest Wind Ensemble from 1993 to 2000, and again in 2003 to the present.